CDs are a better deal than bond funds nowadays but investors often don’t realize it. You would think financial advisors would be all over it when they are living and breathing in the investment world day in and day out. However, besides Allan Roth and Larry Swedroe, I haven’t seen many financial advisors recommend CDs over bond funds. Do financial advisors have the same blind spots as investors, not realizing that time has changed and that the best CDs are better than bond funds for their clients? It’s possible, but I don’t think so. Financial advisors are smart and knowledgeable people. If you and I can figure it out, they sure can. Certain inherent conflicts make them still favor bond funds over CDs even if their clients are better off with CDs. I’m limiting this discussion to financial advisors who are a fiduciary. In the previous post I mentioned that Ken Volpert, a Vanguard executive, made it sound like that bonds are the only option for fixed income and that CDs don’t exist. I used it as an example but I don’t really blame him. Vanguard is a good company but it’s not a fiduciary. They are not obligated to tell you that other products are better than the ones they sell. A fiduciary such as a fee-only advisor is supposed to act solely in your best interest. Why is that you don’t hear as much about CDs from financial advisors? Some advisors charge hourly. It doesn’t matter whether you just want them to review your financial matters and give you advice, or you want them to actually do everything for you. You pay for their time and expertise. An hourly advisor can recommend that you buy CDs. You can ask the advisor to do it for you but it would be more cost efficient to have the advisor tell you where to buy and what to buy and then you just buy them yourself. Hourly advisors are rare. Most other advisors charge a percentage of the assets they manage for you. If they tell you to take a chunk of money out of the assets under management to buy CDs, their fees will plunge as a result. It’s hard to justify charging a percentage on the CDs you buy directly from a bank or credit union, in the same way the financial advisor can’t charge you a percentage on the value of your house. The CDs that financial advisors can buy in brokerage accounts don’t pay nearly as well as the best CDs sold directly by banks and credit unions. 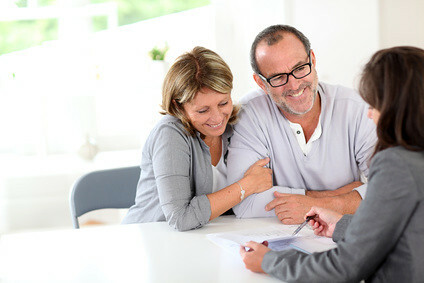 Even if you agree to pay the same percentage-of-asset fee, the advisor is not going to fill out forms with a credit union and buy the CDs for you there. When I worked for an investment advisor years ago, all clients’ assets were held at Schwab. With software provided by Schwab, we were able to download the positions and values for all accounts in one shot. The portfolio management software Axys was able to generate all the reports for all clients. With a few clicks, the software would generate all the rebalancing trades and upload them to Schwab. Having bond funds in the accounts makes this very easy for the advisor. Buying CDs for you at an online bank or credit union will take too much staff time. Even if you buy the CDs yourself and you agree to include the value for the fee calculation, they still have to get the current values from you every quarter to update their software. That’s just too much work for the advisor. While your bottom line would improve if you buy CDs but if it’s going to hurt the financial advisor’s bottom line or cause inconvenience to their operation, they just aren’t going to tell you to sell bond funds and buy CDs. An individual investor doesn’t need the efficiency a financial advisor needs for managing many clients’ accounts. When you use a financial advisor to manage your assets, you are forced to go by what’s convenient to the advisor. Investment advisor Larry Swedroe said in an interview in December 2012* that his firm Buckingham Asset Management had been buying a lot of CDs. Buckingham must have some special arrangement with the banks because of its scale. A smaller firm wouldn’t be able to do so. Still, I wonder how the rates Buckingham gets for its clients compare to the best rates offered by online banks and credit unions. I relate to my experience with getting my washer repaired. Getting the advice on what to do is the most valuable part. Actually doing it is easy. When you bundle the advice with action, you are not getting the best advice from the advisor because the advisor is concerned about fees and administrative efficiency. I would seek to separate the advice function from the administrative function. Pay for the advice. Let the customer service reps at banks and brokers do the administrative tasks. * Reading the full interview requires registration. Get a login and password from bugmenot. I am already getting tired of keeping up with the changes and suitability of various financial products. And I can say for sure that I am one of the more interested folks in personal finance. I can see people who have kids and parents to take care of simply let things slide. This make me appreciate the value of a financial adviser. Saving and investing for retirement should not be this demanding of an individual’s time, knowledge and effort. I am dreading the time when I am older and can no longer trust my faculties to the fullest of their abilities. I added a paragraph to the end of the article. I’m a fan of using a financial advisor, but more for advice, less for administrative functions. Your arguments for switching from bond funds to cds are compelling. Would you create a bond ladder, or choose the highest returning 5yr or 7yr cd (and break later if necessary)? If you are currently investing in intermediate-term bond funds, I would just switch a portion to 5-year or 7-year CDs and not create a ladder. Great article with some clear advice as to how to proceed. If CDs are the way to go can you still purchase them through accounts with Fidelity and Schwab and the like without giving up too much yield or should you just buy them on your own? This can get messy versus having them inside a brokerage account. How big is the hit? Your thoughts? The CDs you can buy at Fidelity are not the attractive ones. These are “brokered CDs”. The higher interest rates found with the CD’s offered by a bank or credit union are simple interest-only bonds that cannot be traded in the secondary market. Their liquidity is usually restricted by an early withdraw penalty. Ally bank is an example where the early withdraw penalty is only two months interest, which—unlike conventional bonds and brokered CDs—reduces risk from interest rate increases. Thanks for another great article Harry. Look into secondary market brokered CD at Fidelity or Vanguard. Slightly more than 2% for late 2018 to 2019. Yield more than AAA bond, some close to BBB, yet FDIC insured. Many are selling a premium and only insured for par value. But many banks AAA and better to be insured for $100 than nothing. Large bid ask spread so some loss if sold before maturity.